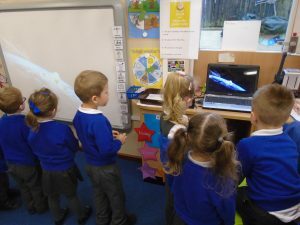 We have been so interested in dinosaurs and wondered why there are no more. We talked about how they are extinct and looked at a video of what the meteorite that hit earth, could have looked like. We watched as it hit the earth with huge impact and caused a big explosion. 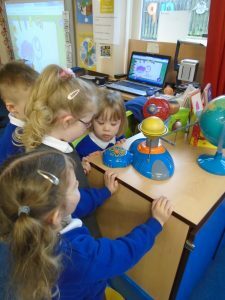 Some of the children asked where the meteorite has hit. 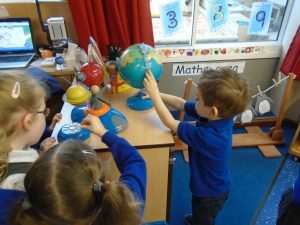 We found out that it was in Mexico and used a globe to locate it. 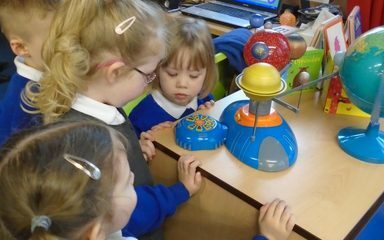 We looked at a model of the solar system and looked at different planets as well as ours, and how they go around the sun. We sang some number songs about astronauts! 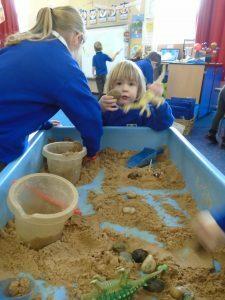 We added stones and dinosaurs to the sand to create our own meteorites and explosions! 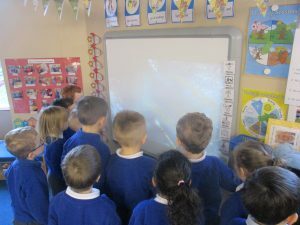 We also looked videos of astronauts in space and talked about how everything floats because there is no gravity to pull everything to the ground. We watched videos of space shuttles flying into space and how they lose their boosters with all the fuel in once they are really high. 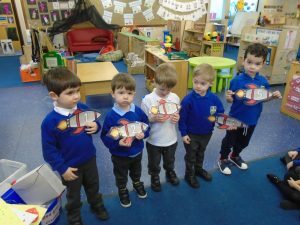 We painted some of our own space shuttles too! 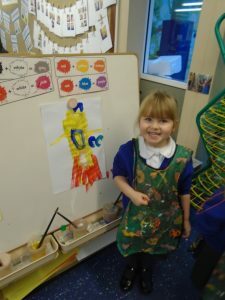 Wow Nursery it looks like you learnt lots of interesting facts about dinosaurs and space. In the library today Conan found a book about dinosaurs and we had a great time discussing the different types of dinosaurs and their names. Conan came up with some great names for them.